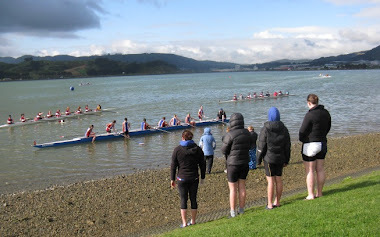 Porirua Rowing Club: Come rowing! The club's gearing up for another free learn to row course to get new members primed for Summer rowing. The course starts on Sunday, 2 September at 9am. If you're over 13, can swim 50 metres, and you're keen to learn how to row come on down to the Porirua Rowing Club, 2 Onepoto Rd, Titahi Bay. Read more on our Learn to Row page.